Great post! I think if more people understood the Role of the Assembly at Mass — that they are a necessary part of the liturgy — our worship would look different. 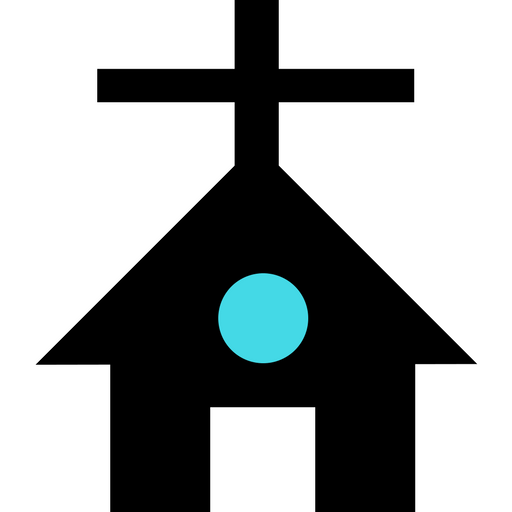 We are the Church not the building. We are given the graces to move from the building that we call the church and be Christ’s witnesses in the world. Your Sacrament posts are very good. The Sacraments really bridge an intellectual understanding of God’s grace and our real experience with the graces received. Thanks for your personal and thoughtful approach to the Sacraments. I think you are spot on in recognizing that you can have more than one type of spirituality. I have always thought of myself as Franciscan but I am also Augustinian. They point to what resonates with us in our spiritual lives. Different times we access different parts of our spirituality. I know your heart is full knowing that what you desire is what God desires for you. Obeying his will and his way is so much easier than the mess we can make trying to do it our way. Your wisdom is a great gift. Your desire to seek God’s will in your daily living will bear great fruit. You are undoubtedly a great example to your family and students. Another great post. Your insights on the mercy and love of God is spot on. We do not think about the eternal imperative. Very thoughtful post. I think Catholic Social Teaching is one of the treasures of our faith that we do not discuss enough. I really appreciate your thoughtfulness and insight. I totally agree that we need to reform our prison system. It is so nice that you have memories of knowing the Our Father and Hail Mary in your youth. Opening up what the words mean is such a great way to pray rote prayers. As we age, the meaning of those prayers change as well. Thanks for this post. As always you are thought provoking. I do not think we can ever fully comprehend how loved we are by God. I was saying the other day if we understood our Belovedness we would not need to feel “special” because we would already know how special every soul is in God’s eyes. Excellent post! I would add to your comment about Catholics being criticized for not knowing Chapter and Verse of the Bible or quoting it that we do know the stories and the way the lectionary is set up we grow up with the stories and re-hear them as we grow and mature in our faith. What a gift that is! I love that you say our response to the invitation to partake in the Living Water is gratitude! Your reflection on the indwelling of the Holy Spirit is very powerful. Wow! I love that end the Our Father with “I love you.” I’m going to have to reflect on that for awhile. It is a very powerful prayer and an expression of our need for God, the Father. Nice explanation of the types of prayer. I think too many parents do not understand the critical role they play in the faith formation of their children. It does make our work all the more important. Mark, you articulate the challenge so beautifully. How do we reach out to a broken world and keep focused on our own moral compass without being judgmental? I struggle with how that precept is lived out in my own life. Good food for thought. So beautifully said, standing and living in the truth. So very difficult to do especially in today’s society. I think about the times that I do not stand in the truth because I do not want to be judged or come across as judging. But there is moral truth and to live in that light as you said attracts other people to the truth. Two thumbs up on JPII! Welcome! This is well written and beautifully done. I am a visual learner and thinker and I read your post in my mind’s eye. So well done. Thank you!